Colossal head thought to depict Caesarion recovered from Abukir Bay of the coast of Alexandria by French archaeologist Frank Goddio in 1997. I molded you handsome and sentimental. Like Greek poet Constantine Cavafy, I have tried to imagine what Caesarion was like. Surely he possessed a healthy dose of charisma like his mesmerizing mother Cleopatra VII and his inspiring father Gaius Julius Caesar. But then again, when I studied genetics in high school back in the 60s I was told that nature tends to return to the “norm” rather than build successively on the talents of one’s parents. I was always puzzled by that since researchers exploring the boundaries of eugenics always tried to manipulate the gene pool by selective breeding. I had never seen a sculpted portrait of Caesarion, except the highly stylized relief of him as pharaoh alongside his mother Queen Cleopatra VII on the temple of Dendera, until I attended the “Cleopatra: The Search For The Last Queen of Egypt” exhibit at the Franklin Institute in Philadelphia, Pennsylvania last month. There I saw an image of a handsome young man with hair peeking out from under the royal nemes headdress looking so melancholy as if he sensed his life would end soon without any of his dreams or ambitions fulfilled. ‘Son of the avenging god, Chosen by Ptah, Dispenser of the justice of Ra, Living power of Amun’ proclaims the translation of Caesarion’s Egyptian name, Iwapanetjerentynehem Setepenptah Irmaatenra Sekhemankhamun. Sadly, Caesarion, Ptolemy XV, known by his Greek subjects as Ptolemy Caesar, did not live to dispense justice or avenge the death of his father. He was executed by his father’s adopted son, Octavian, who would become the Roman emperor Augustus. Of course, with literally the control of the Roman World at stake, Caesarion’s actual paternity, needless to say, was much disputed by some ancient Romans, probably fueled by Octavian’s robust propaganda machine. Dio Cassius, a Roman consul and historian writing in the 3rd century CE (47.31.5) claimed Cleopatra VII only “pretended” that Caesar was his father while Nicolaus of Damascus, a Greek historian who actually served as tutor to Antony and Cleopatra’s children but was later patronized by Augustus, in his Life of Augustus (20) claimed that Caesar explicitly repudiated Caesarion in his will. How painful for a young man to look so much like his famous father but be denied by him. Of course, we must consider the real possibilities of political bias in these accounts. Even the later historians would have been influenced by the Roman public’s perception that Augustus represented the ‘gold standard” for a Roman emperor. Even if Nicolaus of Damascus was faithfully recording his observation of Caesar’s will it would not have been beyond the pale for Octavian to have discretely amended the will to reinforce his position as unchallenged heir – especially if , as Plutarch reports, Caesarion successfully escaped to India and was at large elsewhere in the world for a time before being lured back to his death. 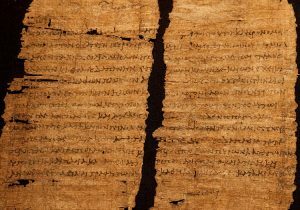 Plutarch’s account coincides with an oral tradition in India that Cheras of Kerala traded extensively with Egypt and the descendants of that royal family were told that letters were exchanged with Cleopatra. Furthermore, Nicolaus of Damascus reported ongoing communications between factions in India and Augustus at this time. This writer [Nicolaus of Damascus] states that at Antioch, near Daphne, he met with ambassadors from the Indians, who were sent to Augustus Caesar. It appeared from the letter that several persons were mentioned in it, but three only survived, whom he says he saw. The rest had died chiefly in consequence of the length of the journey. The letter was written in Greek upon a skin; the import of it was, that Porus was the writer, that although he was sovereign of six hundred kings, yet that he highly esteemed the friendship of Cæsar; that he was willing to allow him a passage through his country, in whatever part he pleased, and to assist him in any undertaking that was just. Were these letters part of Augustus’ attempt to lure Caesarion back into his grasp? Archaeological evidence cannot settle the paternity issue without scholarly controversy either – not so much from a lack of physical remains attesting to Caesarion’s birth date but to the confusion over Egyptian regnal year notations as well as the state of flux in the official reading of the Roman calendar that was in the midst of being converted to the new Julian version. A stele in the Louvre appears to record Caesarion’s birth giving 23 Payni year 5 as the birthday of “the pharaoh Caesar”. 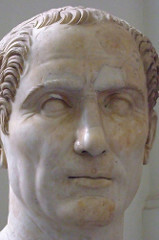 Bennett points out, though, that other scholars like J. Carpocino, Passion et politique chez les Césars (1958) 37, argued that Antony had been smitten by the 14-year-old Cleopatra in 55 BCE while stationed as a cavalry officer in Egypt and could have had an illicit affair with her resulting in the birth of Caesarion. Bennett also discusses numismatic evidence with dual dates representing periods of the joint rule of Cleopatra and Caesarion. Although all of these speculations are interesting, the real bottom line is that the Romans at the time knew Cleopatra was making a valid claim which made Octavian’s resolution to the question of his legitimate inheritance of Caesar’s fortune and power base so urgent. Colleen McCullough imagined a very poignant confrontation between Octavian and Caesarion in her book Antony and Cleopatra: A Novel (Masters of Rome)Caesarion fearlessly approaches Octavian with a proposal to become a client king. But Octavian explains to the youth that he regretfully must take Caesarion’s life. 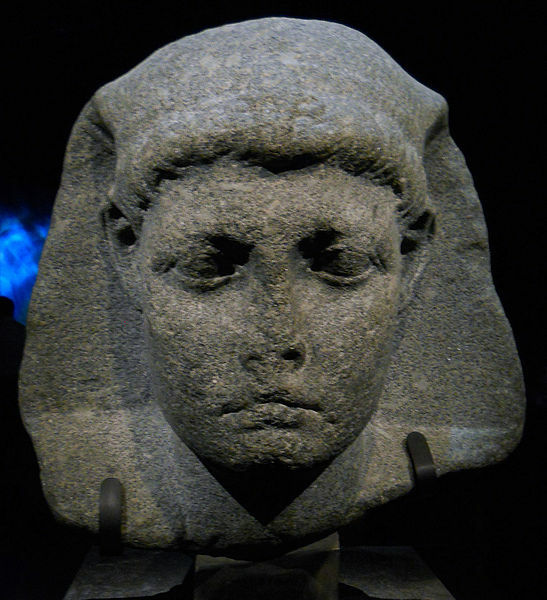 Caesarion’s face reflects his confusion, disbelief, then resignation when he finally realizes his death is the consequence of looking so much like his famous father. This scenario was strictly fictitious, of course, but it was certainly plausible and perhaps painfully close to actual events that played out in those final days of the Ptolemaic Dynasty of Egypt. Head thought to be of Gaius Julius Caesar recovered from the Rhone River near Arles, France in 2007. So, did Caesarion so closely resemble his father that he had to die to avoid future problems for Octavian? If we compare the (suspected) colossal head of Caesarion found in Alexandria harbor with one of the stylized portraits of the divine Julius found in Trajan’s forum, we can point to vague similarities in the width of the forehead and the angle of the cheekbones but, I think I see more similarity between Caesarion and a marble head found in the Rhone River near Arles, France in 2007 that is thought to be a portrait of the aging Caesar carved in 46 BCE, just two years before his assassination on the Ides of March. 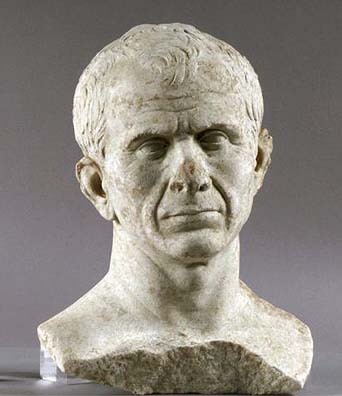 Caesar’s hair has receded and his face is deeply lined but this more natural looking portrait appears to reflect a similar shape of the mouth and the same innate melancholia as I saw in the head of Caesarion recovered by French divers. When I think of Caesarion, I can’t help but wonder what might have been. Like Alexander IV, Caesarion held such promise but, as happens far too often in history, fortune doesn’t just favor the bold, but the greedy and the ruthless. 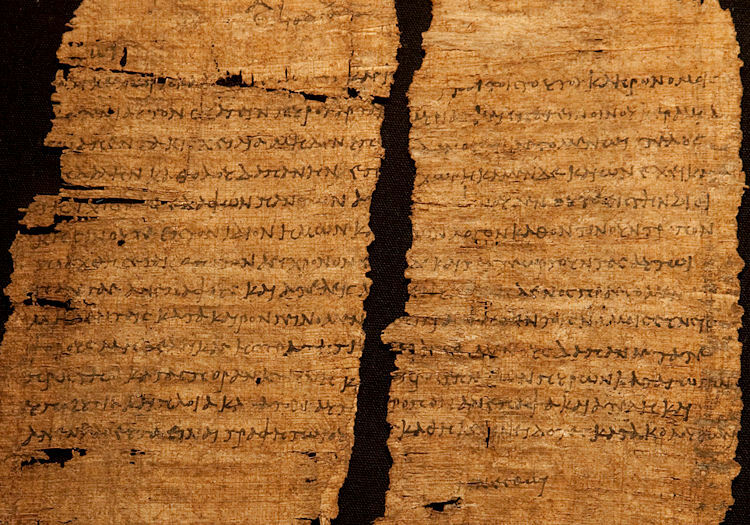 A document thought to be written in Cleopatra VII’s own hand. Image courtesy of National Geographic. I also found a statue thought to be Cleopatra II or III, both of whom ruled Egypt during the mid-2nd century BC, to be quite breathtaking. 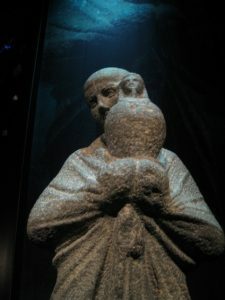 Near the remains of a temple that Cleopatra passed every day, divers discovered a beautifully carved sculpture of a priest holding an Osiris-Canopus jar.